8 days from £945pp plus international flights. The Irrawaddy is Burma's largest river and most important waterway, flowing from north to south, with many of the country's most prestigious sites and cities lining its banks. 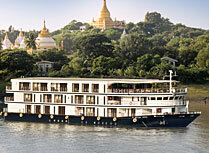 On this cruise you'll travel upstream from the temple-filled plains of Bagan to the famed city of Mandalay, last royal capital, then back downstream stopping to admire pagodas and visit local villages. Your home for the week is the luxury Sanctuary Ananda, an elegant river cruiser with spacious, air conditioned interiors and the only all-balcony ship on the Irrawaddy River. 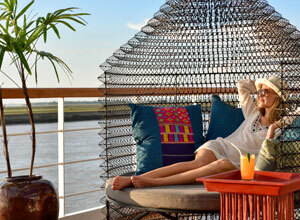 With just 21 suites the ship retains an intimate atmosphere. You'll have ample room to relax, reclining on a sofa in the lounge, enjoying haute cuisine in the restaurant and enjoying views of the river from the sundeck, cooling off with a dip in the pool. 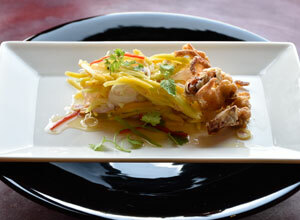 The whole ship exudes style, and levels of service are first class. You'll have guided excursions each day, visiting historic temples, monasteries and pagodas, travelling up to the hills to witness fine views, watching craftsman demonstrating their skills in traditional workshops, and visit local villages. Combined with on board lectures, cultural and culinary demonstrations, plus musical performances, you'll gain a rare insight into the past and present of this fascinating country. This price is based on travel in low season. 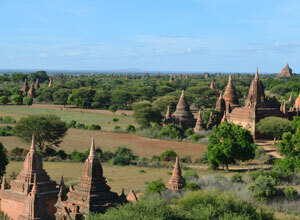 This holiday starts and ends in Bagan. Return flights from the UK to Yangon will cost from around £700 per person and return domestic flights to Bagan will cost around £200 per person, depending on season and availability. We will be happy to book flights for you. 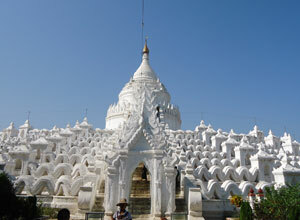 Sagiang, capital of the state of the same name, is an important religious and monastic centre with many striking stupas and pagodas. 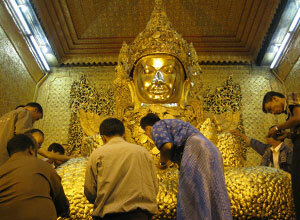 It's on the west bank of the Irrawaddy River, opposite Amarapura. A small hill town with an illustrious history, nowadays known for its busy workshops which produce high quality, handmade goods. 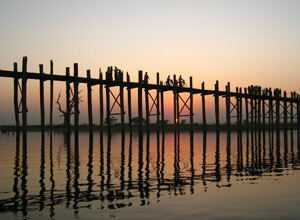 It is also the base for visits to Taungthaman Lake.